DETROIT—When Alberta Hubbard and her husband took over his great-grandmother's purple bungalow in 2001, the neighborhood was a shell of its former bustling self. Mattresses covered windows in homes. People lived in tents on the railroad tracks. And it was more than a mile walk to get to a gas station, the closest place selling food, said Hubbard, a social worker. 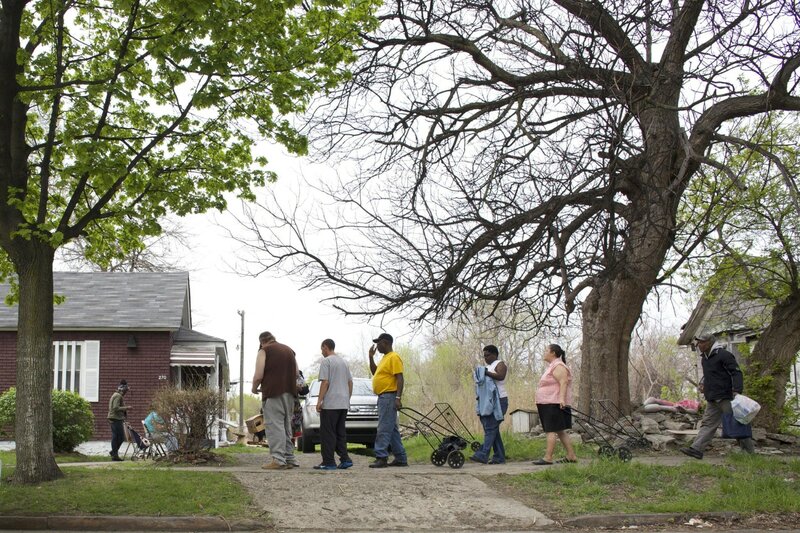 She saw the blight and had an idea: she could make hot food for the neighbors. One Sunday in July 2006, she put a table on the sidewalk and the hungry came. First it was about 20 people, now it’s several dozen to more than 100 every week. “You have to meet them where they are at. 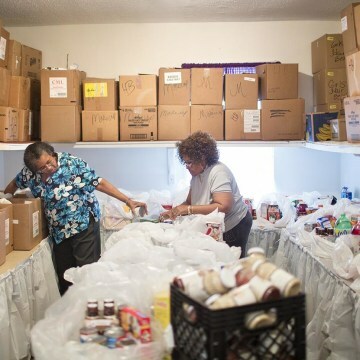 I’m in the trenches, what can I say, I’m in the trenches,” said Hubbard, a former social worker and grandmother of 12, repeating the name she gave to her food pantry nonprofit that emerged from her hot lunch program in 2008. Hubbard, 56, and her husband Terrence, 57, breathed new life into the tiny bungalow, which was almost condemned. Terrence re-shaped the house for its new purpose with storage closets and smaller rooms, and used wood he found to build shelving and carts to fit through the small doors. The back is filled with refrigerators and freezers brimming with meat, yogurt, desserts and frozen meals. Hubbard has taped up inspirational Bible passages on the walls and added touches like artificial flowers and red gingham-checked potholders. Gospel is constantly playing. 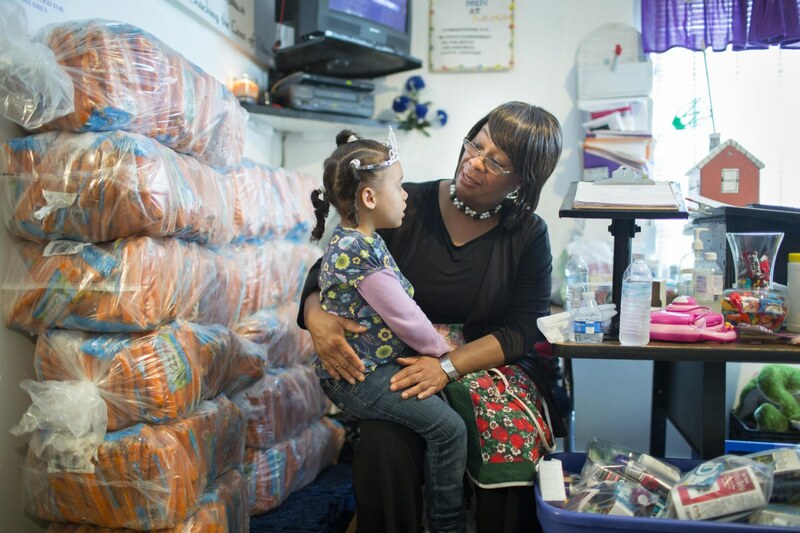 "We can mother a neighbor,” Hubbard said of the outreach. The couple has paid for it all. The house, which they don’t live in, was one of the first homes ever approved by food rescue group Forgotten Harvest to serve as a pantry. Hubbard was recently preparing with volunteers for the weekly Friday “Giveaway Day,” when they distribute food and supplies. 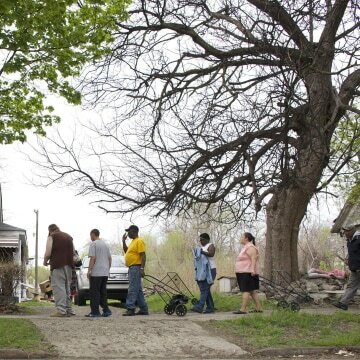 Volunteers finished filling boxes with fresh produce, frozen meat and desserts, jockeying for position amid the close confines of the small home. “We need space,” Hubbard said, eyeing a tiny room jammed with boxes. Bags reading “LOVE” were stacked in one closet, filled with nail polish, lip gloss, hand sanitizer, flip flops and other goodies to give moms on “Mother’s Day.” There were also toys for boys and girls, including an airplane and a tiara. A “beauty salon,” or a wall of hygiene products for men, women and babies, was well stocked. 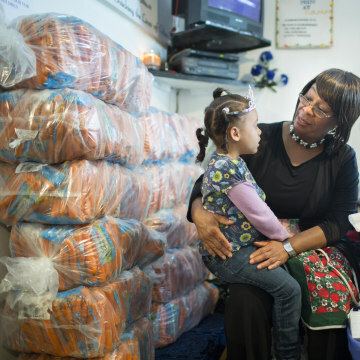 The next day, on “Giveaway Day,” grandmothers raising grandkids and other single parents lined up outside the pantry. Hubbard traded hugs and smiles with them. 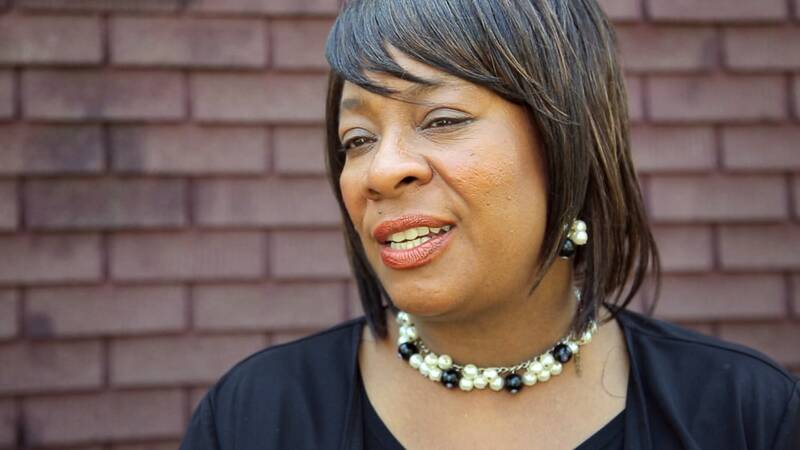 Some were newcomers, such as Iona Cobb, 65. “I want them to walk away inspired to get back up,” she said. At day’s end, In The Trenches was nearly out of food. Then a young woman walked in. She said she could return when the pantry was open, but Hubbard asked: “You need food?” “Yes,” the girl replied. And Hubbard got up to prepare another box.